Mobile websites are one of the most important factors that influence how people view your company and develop a perception of your brand. In fact, as far back as 2012 in a Google commissioned independent study, 79% of respondents reported that if a site is not mobile optimized, they would go back to search results to find another site that meets their needs. More recently, as Google modified their search engine algorithms to prioritize mobile sites, as a result many websites that are not mobile friendly have dropped in search engine page ranking results dramatically. 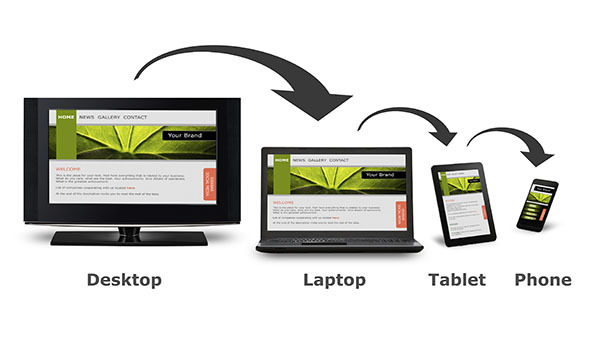 The consumer demographic has changed with mobile browsing exceeding desktop for the first time this year. In the majority of cases, it will the be the first interaction and impression a consumer has of your company or brand, and in many cases it may be the only way that people visit your site at all. The mobile first methodology is nothing new, however the vast majority of organizations are not equipped, ill prepared, or simply don’t know where to begin to truly accomplish world-class mobile websites. Mobile is no longer a “nice to have” it’s table stakes. What is worse is many companies/brands turn to other organizations, which in turn don’t possess the mobile knowledge and expertise to produce top tier best practice mobile websites. This is where BLK24 excels in helping companies. We fix, we optimize, we design, and we strategize. Since not many companies have true mobile expertise in house, we teach your staff and agencies along the way in order to make you self sufficient in managing the mobile websites in the future. We work with you to understand your needs and the desires of your customers to create and optimize best in class mobile experiences that solidify and secure your company’s reputation and brand as a market leader.